Today we embark on our journey to the lands of ancient treasures and Christian history with an overnight flight to Greece. Meals and beverages are served in flight.. This morning we begin at the Church of the Immaculate Conception. 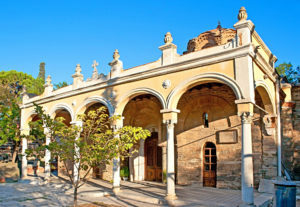 Afterwards, we take a guided tour of Thessaloniki, which includes the Basilica of St Demetrius, the city walls built by Theodosius in the 4th century AD, the museum and remains of Philip II, father of Alexander the Great. Dinner and Overnight in Thessaloniki. Our journey today takes us to Philippi, where Paul was imprisoned. We visit the site of the prison where his jailer was converted, and the Roman Forum where Paul was arrested for his Christian faith. We also explore the river where Lydia was baptized (possibly the first baptism in Europe), and the Orthodox Church dedicated to her. We then drive south to Kavala (Neapolis), the seaport where Paul landed in Macedonia. 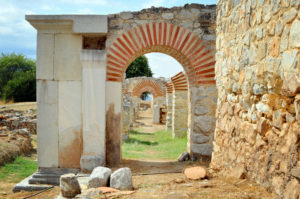 After lunch there will be ample free time to explore this picturesque town before returning to Thessaloniki. Dinner and overnight in Thessaloniki. Today we travel to Athens. Upon arrival we will visit the magnificent neo-classical Cathedral of St Dionysius, which was built by the Bavarian Prince Otto when he became King of Greece following the Greek War of Independence. 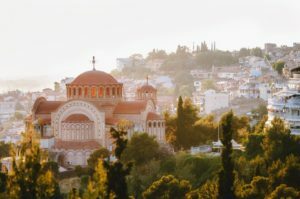 We then continue to walk in the footsteps of St. Paul as we visit the site of the synagogue, the market place (Agora), Areopagus (Supreme Court), which was sited on a rock adjacent to the Acropolis and was named Mars Hill by the Romans. Paul’s address, as reported in Acts 17, is inscribed at the foot of the rock. Dinner and overnight in Athens. Today we experience a guided tour of the Parthenon and the other significant monuments. We then make our way to the Acropolis which represents the apotheosis of artistic development in the 5th century BC, the Golden Age of Pericles. From the Acropolis, we move to the magnificent new Parthenon Museum. Enjoy the rest of the day at leisure. 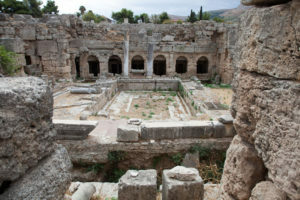 Today we make an excursion to the ancient site of Corinth where Paul spent eighteen months preaching to the Corinthians, and to whom he later wrote the two letters that are part of the New Testament. On the way to Corinth we stop at the Corinth Canal for a photo opportunity. We visit the Temple of Apollo, the Agora and the Bema (Tribunal) where Paul was accused. We return to Athens for our farewell dinner and overnight.